Once a year, we all get a chance to start over again, a chance to reset our hopes and goals, put the past aside and to approach the future with optimism - and New Year's Eve has always been a celebration of that. Whether you're seeing off a fantastic year full of success stories and dreams come true or you're just happy to see the back of a rough, tough 12 months, we can all enjoy a new beginning come January 1. So, my advice is to treat yourself to a proper New Year's celebration this year. Whether that means wholesome family fun, fancy-shmancy wining and dining or a raucous, unruly revelry that lasts well into New Year's Day - go for it! Take it from one who knows: you deserve it. 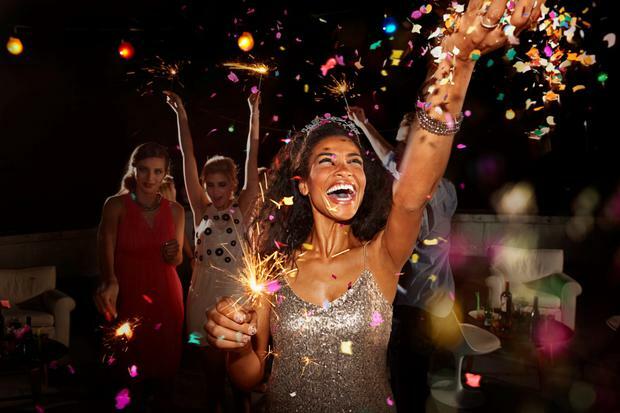 And luckily enough, it has never been easier to find an ideal New Year's Eve celebration, with fantastic packages being offered all over the country. The ultra-modern Marker Hotel on Grand Canal Square invites you to treat your inner gastronome this New Year's Eve with an overnight stay including breakfast, complimentary pre-dinner drinks, and dinner with an exquisite tasting menu in the brasserie, where executive head chef Gareth Mullins has created seasonal dishes to delight. So eat, drink and be merry before the guilt of New Year's resolutions takes over! Ellie Donnelly Teeling Whiskey's 24-year-old single malt has been crowned the 'World's Best Single Malt' at the 2019 World Whiskies Awards.